Having a high blood platelet count is a strong predictor of cancer and should be urgently investigated to save lives, according to a large-scale study. Around two per cent of people over 40 — up to half a million people in the UK — have a raised blood platelet count — known as thrombocytosis. Now, a study of 40,000 patient records led by the University of Exeter Medical School found that more than 11% of men and 6% of women over the age of 40 with thrombocytosis went on to be diagnosed with cancer within a year. This rose to 18% of men and 10% of women if a second raised platelet count was recorded within six months. In the general population, around 1% develop cancer in any one year. In the cohort analysed, of people who had been sent for a blood test by their GP, around 4% of men and 2% of women developed cancer. Lung and colorectal cancer were more commonly diagnosed with thrombocytosis. One-third of patients with thrombocytosis and lung or colorectal cancer had no other symptoms that would indicate to their GP that they had cancer. The paper, published in the British Journal of General Practice, calls for GPs to consider a diagnosis of cancer in patients with unexpected thrombocytosis, to increase early diagnosis which can save lives. The research was carried out using data from the UK Clinical Practice Research Datalink, which includes anonymised data from around 8% of UK general practices. The researchers compared records of patients aged 40 and over. 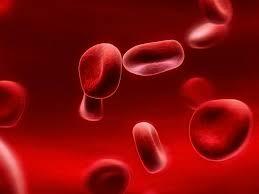 They analysed 30,000 with thrombocytosis and 8,000 with normal blood platelet counts. They calculate that if only a conservative estimate of 5% of patients with cancer have thrombocytosis before a cancer diagnosis, one third of them have the potential to have their diagnosis expedited by at least three months by the identification of this risk marker, equating to 5,500 earlier diagnoses annually. The study has revealed the first new indicator of cancer to have been robustly identified in 30 years. The Exeter group specialises in identifying which symptoms predict cancer to aid early diagnosis, however most of their work centres around quantifying known risk markers. Thrombocytosis first arose when they were investigating other features, and the paper is the first to thoroughly investigate the association between thrombocytosis and undiagnosed cancer.